Successfully Added Free Floating Magnetic World Globe to your Shopping Cart. 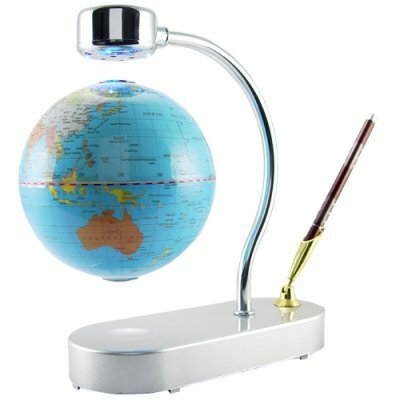 World globe with magnets on both poles for a free floating effect within the magnetic holder. This is a perfect item for turning any bland looking desktop into a gadget lovers dream. Simply plug the stand in, use the spacer to correctly place the globe in the center, and you will have your own free floating and fully rotating desktop accessory all your friends and co-workers will envy and ask about. A super low wholesale price is available for even one item, but buying in bulk means that you will save even more and increase your resale profits on this highly sellable Chinavasion gadget..
A great addition to my classroom. Friendly and professional service .